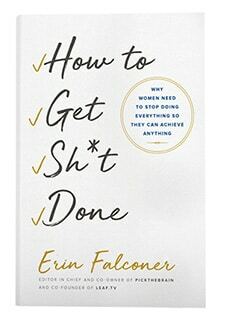 Note: Each week PickTheBrain reviews a book or product related to self improvement. This review represents the honest opinion of the author, but we’d like to disclose that PickTheBrain receives a small referral commission on orders. 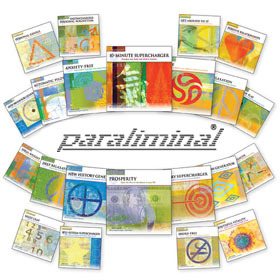 An interesting product I’ve been using for the past several months is the Paraliminals series from Learning Strategies. The best way to describe Paraliminals is a combination of guided meditation and neuro-linguistic programming. It’s best experienced with stereo head phones because it works by playing two different audio tracks simultaneously. The experience is difficult to explain, but the two soundtracks compliment each other in such a way that it’s impossible to concentrate on either but your brain is able to absorb both. One voice usually tells a story, relevant to the theme of the session while the other repeats affirmative messages. The sessions cover a wide range of self improvement topics, including health, relationships, personal charisma, and motivation. Behind the audible voice tracks are soothing nature sounds accompanied by binaural beats. The real power of the program is the binaural beats, which work by using two complimentary frequencies that interfere with each other to create pulsating phantom frequencies. The beats affect brainwave patterns and help bring the mind to a state of focused relaxation. If you’ve ever used a guided relaxation program, where the instructor takes you through the process of relaxing each part of the body, then you’ll recognize the feeling of your body being totally relaxed while the mind remains alert. The benefit of Paraliminals is that it allows you to reach this state much more quickly and helps to block out distractions. I’ve found myself using Paraliminals as a substitute for naps. Instead of going to sleep and waking up groggy, I lay down for 20 minutes and listen to one of the CDs. There are a wide range of topics covered in the Ultimate You series, so I can usually find something that matches my goals for the near future. After listening to the program I get up relaxed, refreshed, and motivated to take action. I don’t think anyone is silly enough to believe that listening to a CD will somehow take the work out of success. If you approach Paraliminals with this attitude then you’ll probably be disappointed. That being said, I think those who have a strong desire to bring about positive improvements will find Paraliminals to be a helpful tool. The biggest benefit that I’ve experienced with the program is the ability to reach focused relaxation in a matter of minutes. Instead of having to find an isolated place and exert effort to clear my mind, Paraliminals puts the process on autopilot. I can just lay back and listen. If you’re interested in learning more, I’ve put together a page with more information about my experience with Paraliminals. I’ve also gone to the trouble of negotiating a significant discount, available only to PickTheBrain readers. Check out the Paraliminals page for all the details.